And this is the same reason people should check their pensions more often, to make sure they have the best deal possible. Annoyingly, pensions can be very tricky to untangle and compare. That’s why it makes sense to ask a specialist to review your pension for you. In modern, friendlier English, a no obligation pension review means you get to know exactly where you stand with your pension, and what a regulated financial adviser recommends you do, without having to make any sort of commitment. This includes not having to pay a fee upfront. As part of a no obligation review you should receive a report clearly presenting all the information you need to make a decision about your pension. That report should also show you how much it would cost if you asked the adviser to act on your behalf. Otherwise, you can walk away fully informed with nothing to pay. 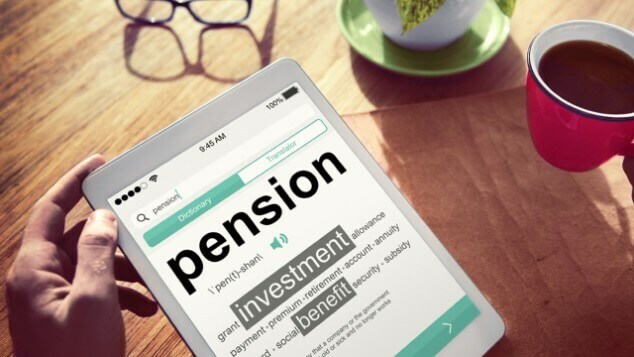 Discover more: What is a no obligation pension review? Servicing your car should mean peace of mind that everything is working properly and, as far as possible, you won’t get any nasty shocks that stop you getting from A to B in the foreseeable future. It’s useful to think of a pension review in a similar way. You’re making sure that what you’ve got is working and running as efficiently as possible. And if high charges, poor management or unsuitable investments mean your pension resembles a clapped-out Lada, the best fix is often to switch your pension to a better scheme. Discover more: When was your last pension service? When you ask a financial adviser to review your pension, their first task is to get all the information they need from your current scheme providers. Some providers take a few days. Others are less co-operative and can take months. This can have a huge impact on how long your pension review takes. And if the review shows that you will be better off switching your pension savings to a new scheme, then delays at this stage can be a frustrating financial drag. Where does your current pension provider sit on the 2018 league table? Discover more: Quick or slow: how does your pension provider compare? Combining your pension pots generally means less admin and therefore less hassle for you. Always a good thing! A word of caution, though. It makes sense to be clear on what you could be giving up or missing out on by combining certain pension pots before you make any final decisions. Less admin hassle is scant reward if you could end up worse off as a result. Discover more: Why combine your pension pots? When it comes to managing your pension, there are lots of moving parts: from your circumstances and plans, to available products and regulations. And most of these parts change and develop over time. Just think how your circumstances 5, 10 or even 20 years ago compare with where you are today. That’s why it’s vital to check your pension every couple of years or so, to make sure it remains tailored to you. Inflation means that every year life gets more expensive by about 2% (on average). And the minimum you really want is for your long-term savings to at least match inflation, so that the money you are saving retains its value for when you need it. Depending on how much risk you are prepared to take, you might want these savings to grow some more. Or, unwittingly you could be taking more investment risk than you are prepared to with your money. Pensions usually come with charges built in. Some are transparent and easy to understand. Others are as clear as invisible ink. The aim is to keep these charges as low as possible without affecting the quality of the pension product or service you are receiving. High charges are a double whammy because not only are you losing money at the point of being charged, you will also be missing out on possible investment growth. The good news is: high charges are easy to fix. In 2018 it was estimated that there are 1.6 million lost or forgotten pensions in the UK with a combined value of around £20 billion1. That works out as about £13,000 per pot. Not to be sneezed at, especially if you have more than one lost pot. One of the side effects of auto enrolment could be even more pension pots waiting to be claimed. Thankfully, with a few basic details, it should be easy to find out if any of your pensions are missing and to welcome them back into the fold. Discover more: Can you find my pension?